When it comes to running, I really think the 10k is my favorite distance. It’s long enough that it feels like a challenge, but short enough that I don’t feel dead by the end of it. 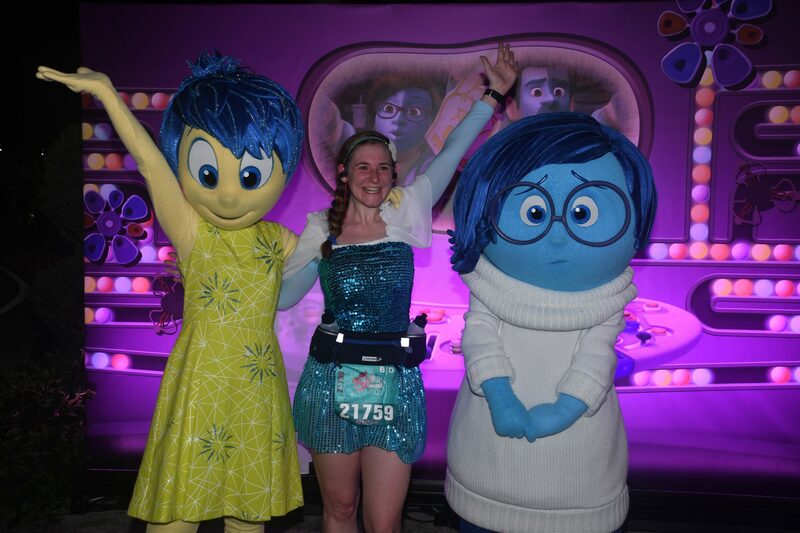 Doing a 10k in Disney is even better! 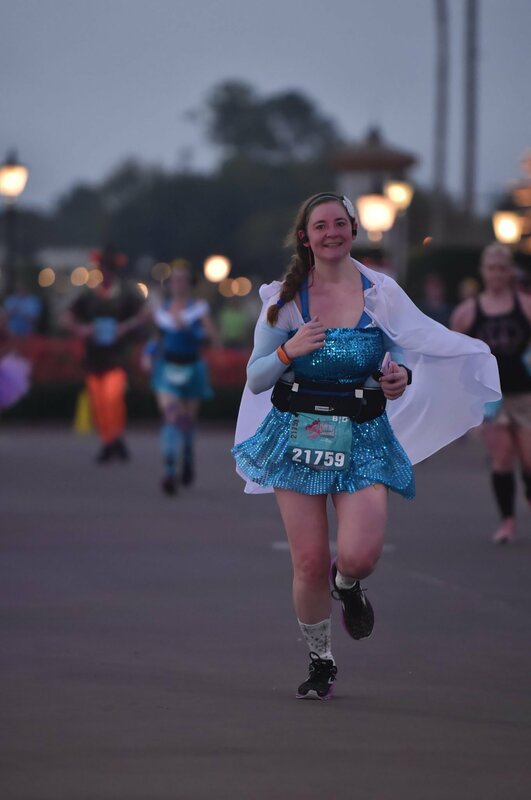 So I always sign up for the Fairy Tale Challenge when I go down for the Princess Half Marathon, because I don’t want to miss the chance to run a 10k! I’ve done this one every year since it debuted in 2014. 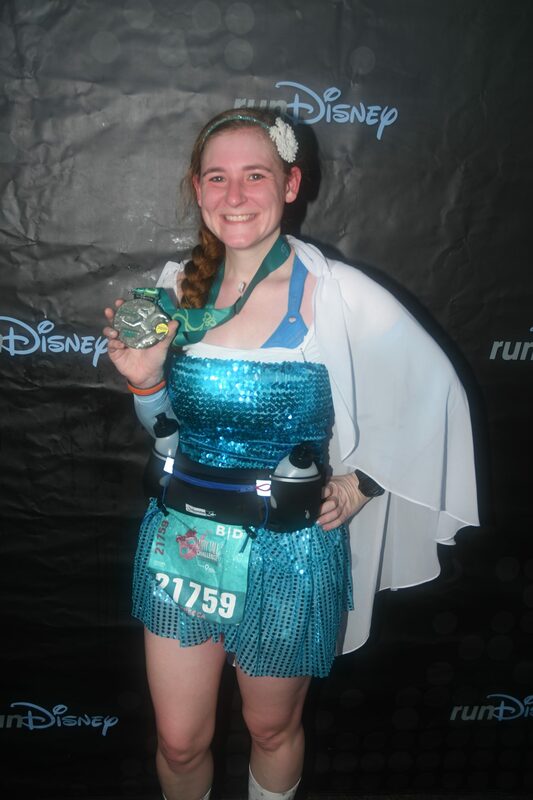 I awoke bright and early at 3am, put on my Elsa costume, got on the bus at Coronado Springs, and was soon in Epcot for the race start. I had a lot of time to kill so I decided to wait to meet a character. They had a few different princesses out and they were rotating every half hour, so you didn’t really know which one you’d get. I just picked the shortest line and ended up with Elena. I’ve never watched her show but I quite liked her the one time I met her before! But like I said, I’m not pushing all out trying to get my best time, so I tried to relax and enjoy it. The weather was really nice – perhaps a bit warm but I personally prefer that to being cold. The first half the race is a little more boring. They have a few character stops but it’s all roads until after mile 3 when you finally enter Epcot. This was the first year they didn’t have the stilt guys at the entrance point to Epcot, but there was a character location here. It was Joy and Sadness, so I decided it was a good time to stop for a photo. Considering this trip to Disney had been a little rough for me in the beginning, but then got better because I was in Disney after all, a good mixture of Joy and Sadness summed up what I was feeling pretty well. Plus it’s one of my favorite movies. Entering the World Showcase is always fun. Right past where you entered in Norway they had two vikings out. 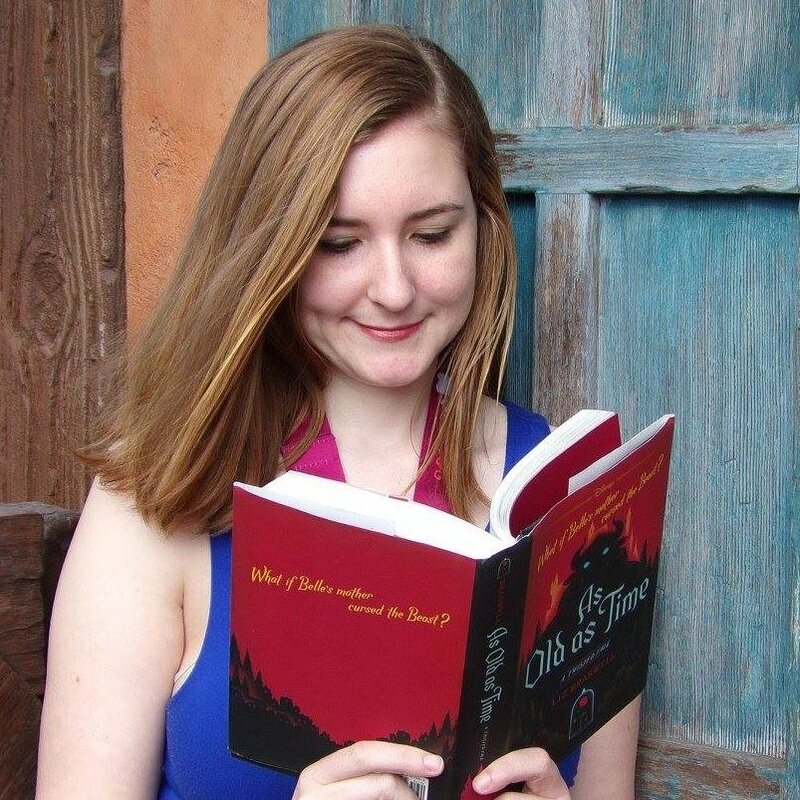 While it may not have been Anna and Elsa, it felt like the closest I was going to get to anything from Frozen and since I had my Elsa costume I decided to stop for another photo! This was a quick one – they don’t have a photopass photographer there, but they will take a picture with your phone. 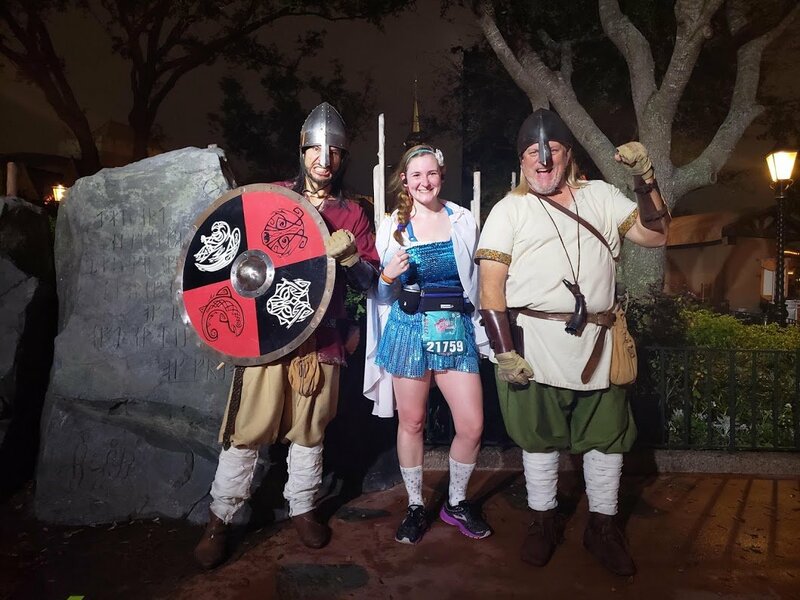 The 10k course is my favorite because after the World Showcase you head around the Boardwalk, which is a fun area to run. Then it’s back into Epcot and towards the finish line! My official time was 1:08:34 with a pace of 11:02 min/mile which is about what I hoped for considering I was stopping for photos and didn’t want to go too fast with the half marathon the next day! 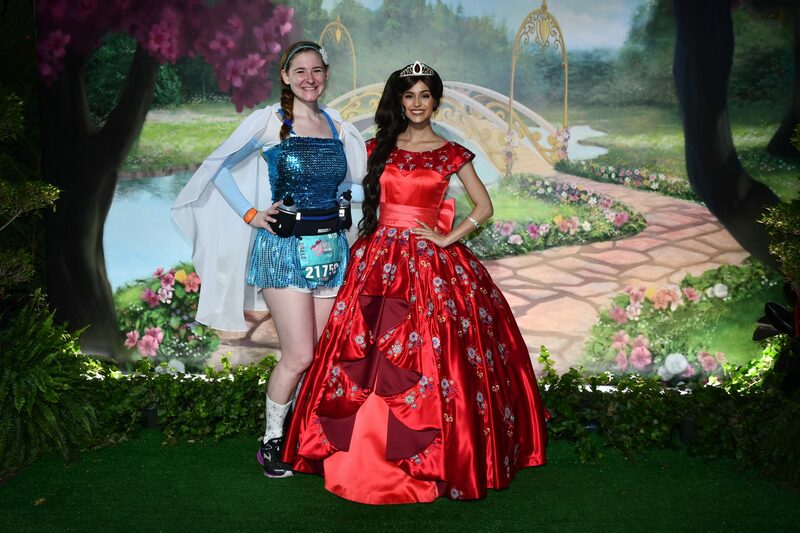 The Enchanted 10k is always a good time and I’m glad I got to do it again. 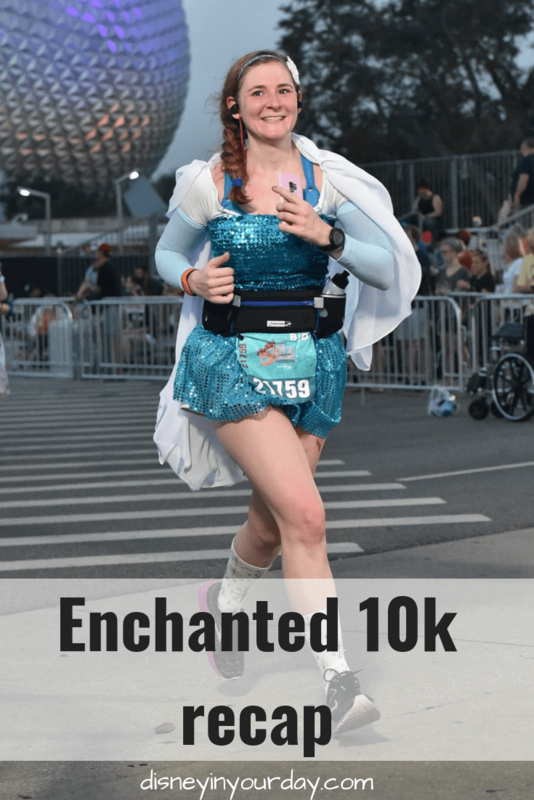 Have you ever done the Enchanted 10k? Which characters would you want to stop and meet?